Photographic themes and challenges are a lot like time travel. I hop into the Tardis and revisit wonderful places, remembering the conversations, the food, the ambience. After the visit, a few timely crops are made and then the hunt is on to extract a few pearls that might fit the chosen theme. This week it’s numbers and we are heading off to Umbria, Italy. 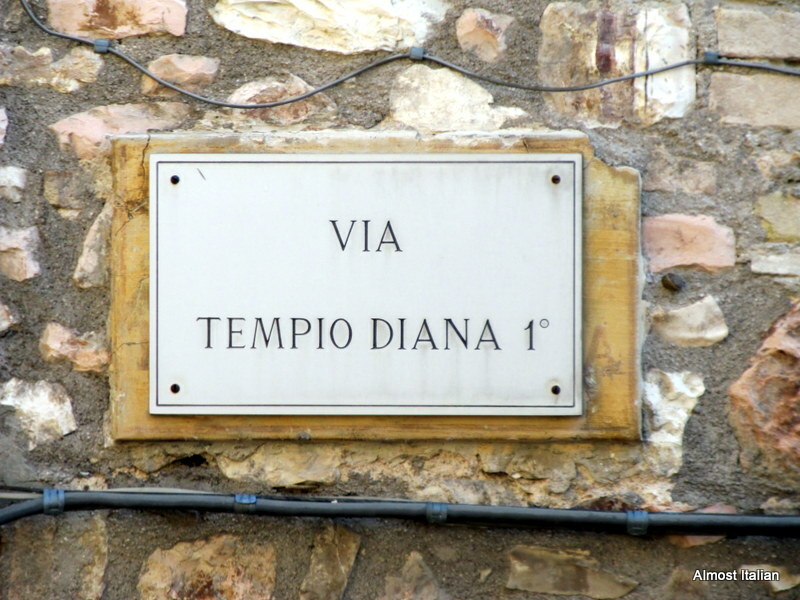 I would love to live at No 1 Tempio Diana Street, Spello. 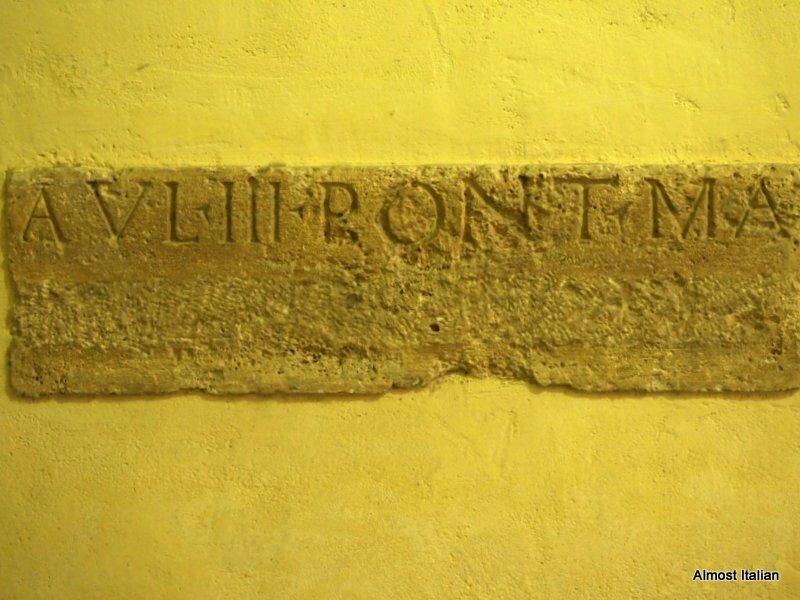 A house sign in Spello, on Tempio Diana Street. Diana, the Roman goddess of the hunt, the moon and birthing, continues to make her presence felt throughout Italy. It is interesting to note that the cult of the Virgin Mary was tacked on to that of Diana, ( and in Sicily where Greek connections are stronger) that of Artemis too. Spello is an enchanting small hill town in Umbria. Apartments to rent are economical and the views from the top of the town provide vistas of Umbria, the olive grove walk from Spello to Assisi, and also the industrial plains in between, ever-present but rarely mentioned. The search for dinner is on. Will we dine at Number 9? 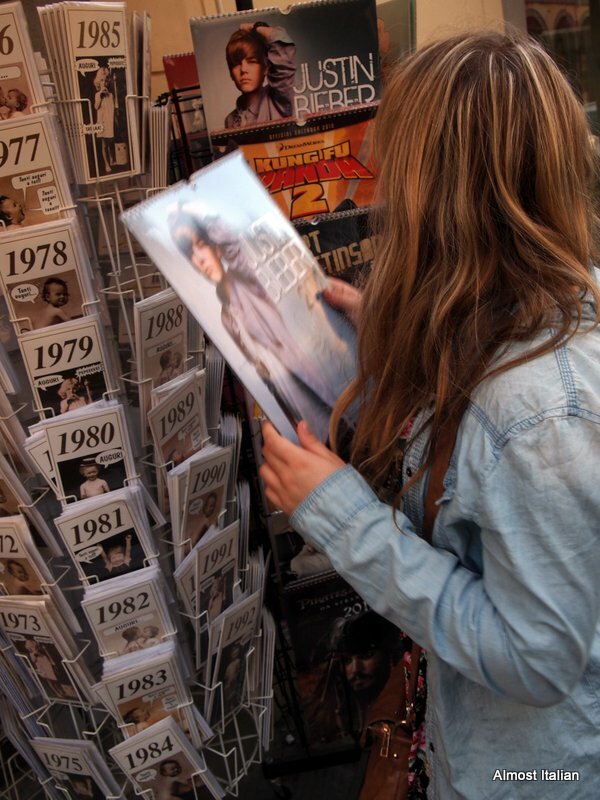 Despite my attempts to fill her head with history, dates, architecture and numbers, Mischa Bella was still in search of her idol, Justin Bieber, and found him in Italy. She also found the Twilight actors in Volterra! Thank goodness she has now outgrown him. Very good. I am having trouble finding photograph/s for this challenge. This week I may be abstaining. Ans I like where your Tardis landed Francesca! Italy, hilltop towns, the stuff that dreams are made of! If only we could hop into something like a tardis than a 20 hour silver bullet. Might be there every week. hehe that’s so funny that Justin Bieber made it into your post somehow! I’m convinced that Umbria deserves a visit at least once in your life, for the nature, for the lovely villages (Spello, Assisi, Gubbio..) for food and for numbers too :)! Thanks a lot Francesca for sharing it, have a lovely weekend! The best gelateria in Volterra! I cannot remember the number of ice creams consumed there. Like all your hilltop town numbers. Oh, to be in Umbria now! Yes, It would be rather nice. Whenever I do these posts, my travel lust overcomes me like the plague. Yearning, always yearning to be everywhere, and here too. Another fabulous hilltop town. Thank you for taking me to one we have not visited. This one, and some other little ones near by are very good to visit. Nest time. Previous Previous post: Yoghurt, the Key to Middle Eastern Cuisine.